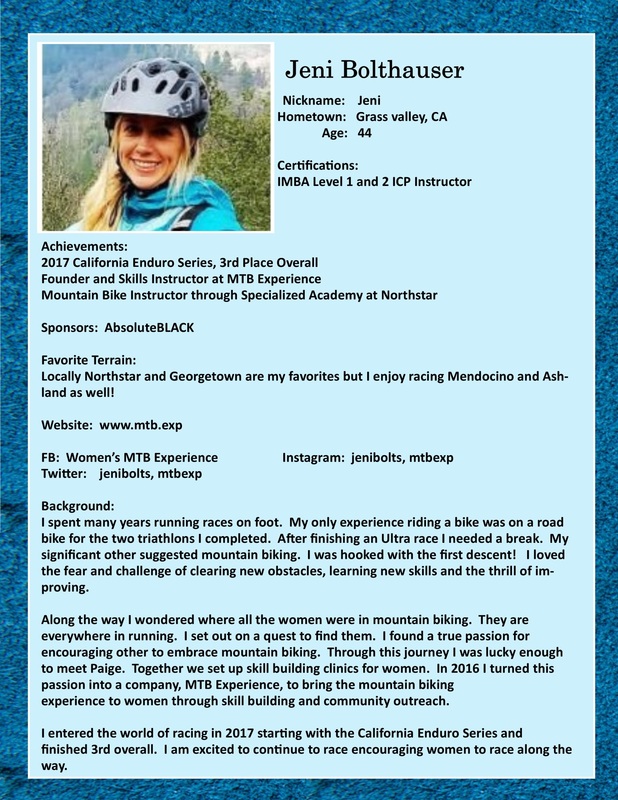 With miles of public multi-use trails trail on Tahoe NF, Empire Mine State Park, and Bear Yuba Land Trust, our skill clinic is designed to inspire, strengthen, build confidence and camaraderie among women. 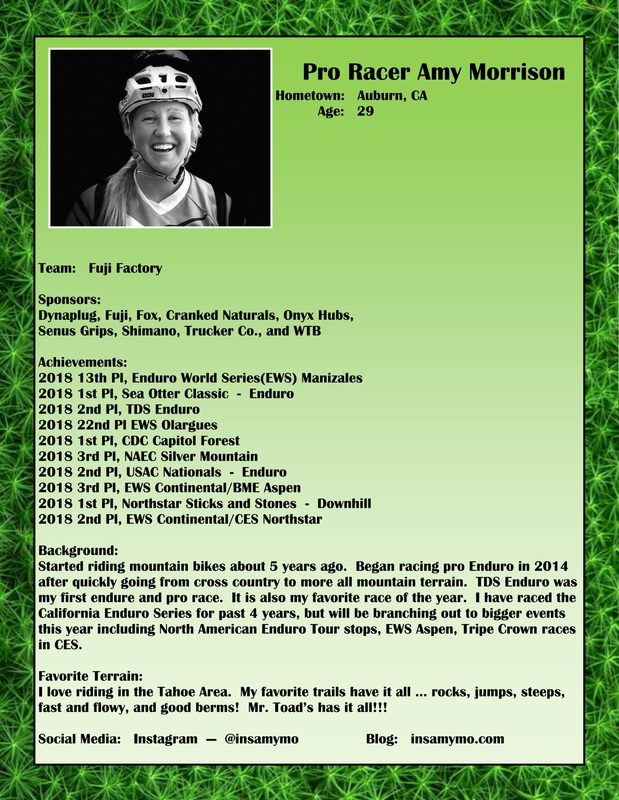 Our passion is to spread the word that mountain biking is a fun sport for everyone, and is a great connectivity to the outdoors. Mountain biking enriches your mind, body, and soul. 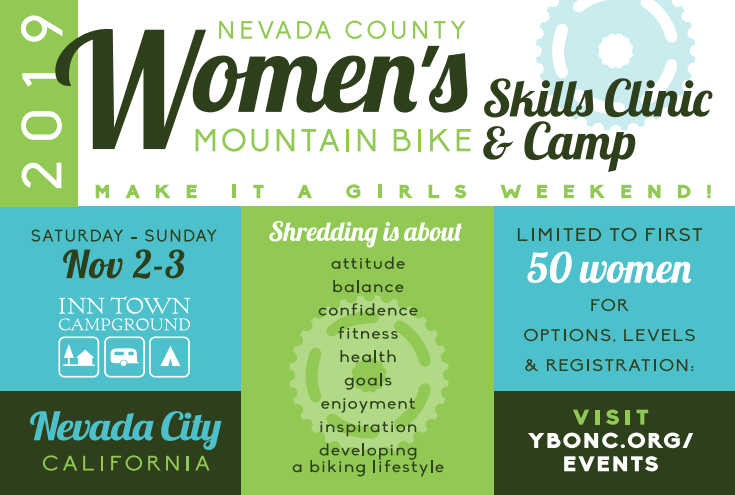 Learning bike handling with other women increases confidence and gives a better sense of enjoyment and trail love when riding your bike. 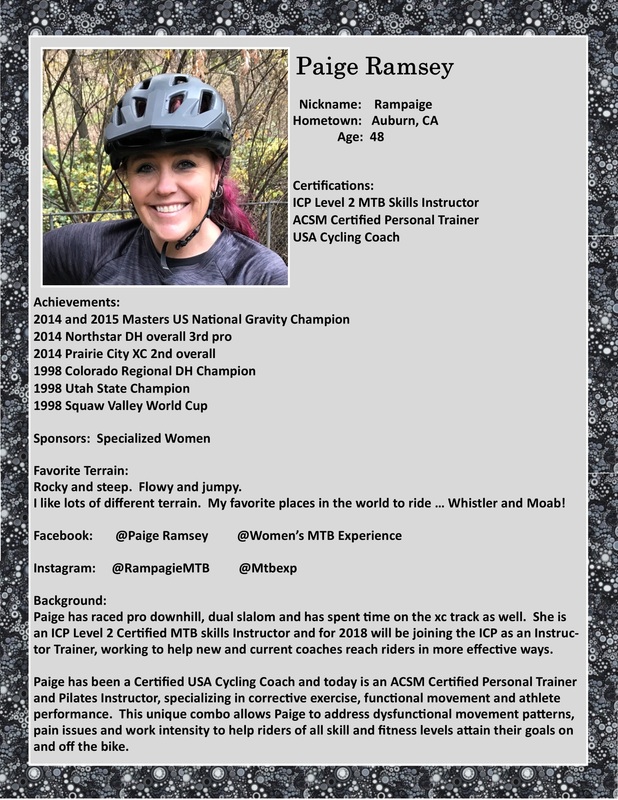 Our three certified mountain bike instructors are from California and have a fun program for women to improve your learning experience at various skill stations, each with various background to teach beginners the basics, to fine tune those improvements for advanced riders. 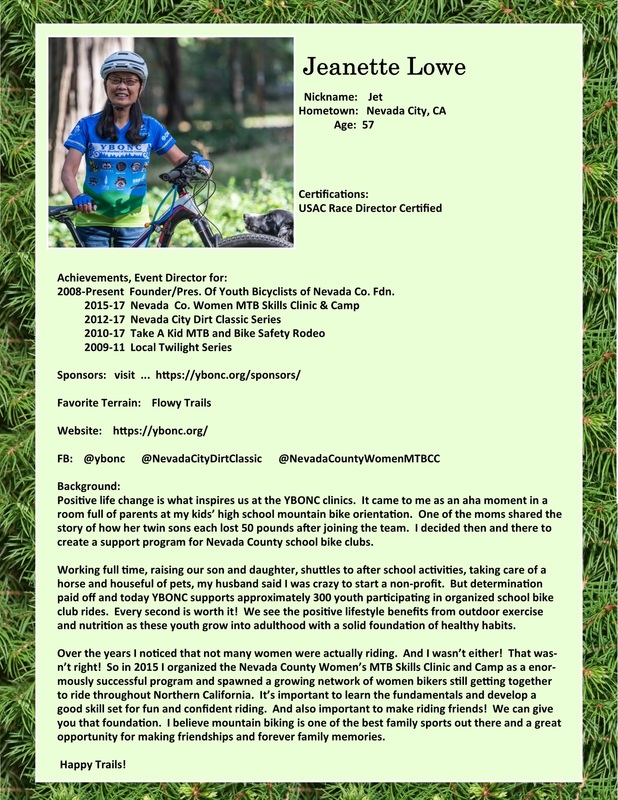 When off your bike, you’ll be enjoying our gourmet meals, and our Nevada County hospitality. Please be sure to complete our 2 surveys at our event website to help us plan. There is a MTB Skill Level Guide pdf to help you when completing the MTB Experience survey. This event will be canceled in the event of snow. Complete the 2 Doodle Poll surveys above for bike experience and meal preferences. Do this ASAP because we can’t admit you ‘til you do! 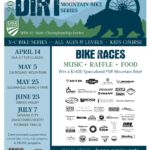 Get your mountain bike tuned: working front brakes and rear brakes, working gears, tires in good condition and inflated properly. Look at our Required & Recommended Gear list and ensure you are properly outfitted. Comp code will be emailed to you after on-line registration completed. View sizing chart before you order. Last day to order jersey is TBA. Cancellation email received by TBA will receive a full refund, less $50 admin fee. Cancellation email received by TBA will receive a 50% refund. No refunds after TBA Friday. Set up Camp, Shower, Social Hour, RELAX! What did you learn and what will you work on? Free ride! Hoot laps! Coaches will be out riding and you may join in for as many or as few laps as you like. Elbow/knee/hip padding are not necessary but if they make you feel comfortable, bring em! 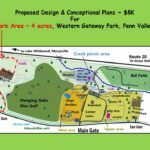 We are partnered with Inn Town Campground in Nevada City, CA. Rates and taxes included in clinic cost if you select Glamping option when registering. If no lodging is needed, please select appropriate clinic option! We only reserved campsites and 12 glamping tents and need confirmation by 2017 Mar 1st. After Mar 1st, we will release them for public reservations. Glamping tents have 1 queen size bed 2 electric heating pads. For those lodging at the InnTownCampground, you may leave your car in their lot, of course. For those attending the clinic daily, you must park on New Mohawk Rd or in one of the empty business lots. We are not allowed to use the Railroad Museum lot and the InnTownCampground lot is only for lodge guests. Thank you!